Having short hair means that there’s more exposure to facial features. It’s therefore essential to have flawless coverage that looks and feels like you're either not wearing any makeup. This can be achieved by creating a polished and groomed look by placing lines and colors in correct, strategic places to create a more balanced face. If you don't apply your makeup properly, you could end up not looking the way you intended, and therefore projecting the wrong image. You've all seen faces with too much unbalanced makeup, blush on the cheeks that's too bright, big blue eye-shadow that's not blended, and an orange lipstick that has no color harmony with outfit. This image is probably appearing quite vividly in your mind’s eye right about now. 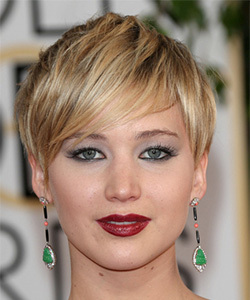 Makeup that is applied correctly gives you a flawless finish that doesn't look like makeup at all, but looks as though you have beautiful skin that has been slightly accentuated and that's an important fact when wearing a short hair or an up do where there is no hair to cover your face. By placing the right color and lines, you can adjust the proportions of your face shape, giving the illusion of a bigger eye, smaller nose or show off your other facial features to their best advantage. Before you start applying makeup, your face should be clean and free of excess oils. You should use a facial cream designed for your skin type, and a primer before you start your make up. Using a foundation brush will ensure you don't apply too much. Read on to find out how to properly apply all the types of makeup you need. Mineral makeup is being promoted the same way as organic food and huge increase in demand for natural-based personal care products. It’s all about being green, healthy and using natural and Organic ingredients. According to Dr. Lorrie Klein, a certified dermatologist mineral makeup is more natural and reduced risk of allergic reactions or acne breakouts. True mineral makeup has little to no chemical ingredients and mostly consist of actual minerals. Mineral makeup is light and allows skin to breath naturally and is free of preservatives, talc, oil, fragrance and other potential skin irritants. The minerals that mostly used in mineral makeup contain micronized titanium dioxide or zinc oxide (which acts as a natural sunscreen with protection of SPF 15-20 and soothes skin), iron oxide (which gives color to the makeup) and oxychloride (which is anti-inflammatory). If you are using powder or mineral blush, you will need a large blush makeup brush to apply your blush. Add a little blush to your brush and starting at your cheekbone, brush the blush from your hair line (on the cheekbone) downwards to the apple of the cheek. If you have a hard time to find the best location for cheek color, then all you have to do is smile. Do not go back and forth because you could end up with a line across the cheeks like we applied makeup back in the 80’s. If you are using cream or gel blush, add a small dot of blush to the apple of your cheek and using a makeup sponge, blend the blush upwards and outwards, using small circles, again blending all the way into your hair line. You are going for a slightly colored glow on the apples of your cheeks and along your cheekbone into your hair line. Always start with less blush—it's easier to apply more than it is to remove some. 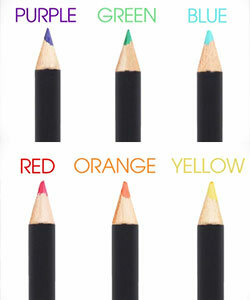 Start by lining your lips with a neutral colored pencil. You can follow your natural lip line or go slightly outside of your lip line if you have thin lips. Use a lip brush to fill your lips in with the color and type of lipstick you choose. Use the brush to blend the lipstick and the liner so that you don’t have harsh edges to your lips. You can blot your lips on a piece of tissue to remove excess lipstick. 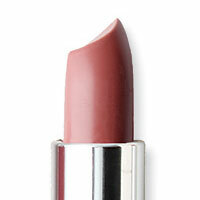 As additional bonus to your lipstick selection, make sure your lipsticks come with proper moisturizers. This makeup guide was reviewed by several beauty professionals including celebrity make up artist Katherine Quiel. The words are edgy, tough, strong and sometimes "over the top". It's about women who are empowered. Use black shadow, liner and a lot of mascara. Colored Eye Liner is a great way to make your eyes pop. Check this video on how match the right color for your eyes. Dior SkinFlash totally covers dark circles without creasing, helps decrease lines on side of nose and mouth and other imperfections. Mary Kay, ultimate mascara goes on great, lasts all day, never flakes and makes my lashes look AWESOME! This cover-up is really nice and it covers really well. It's light and you won't even feel it on your face.